Please note that both Pavilion Pools are closed 1:30 PM – 3:30 PM, Monday – Friday when Scott County Schools are in session which begins August 8th, 2018. In addition the pools close 1 hour earlier than the rest of the facility daily. The slide is closed Tuesday and Thursdays! The skate park opened in October, 2004 and is a 10,000 sq. ft. facility that is used by roller blade skaters, skateboarders and bicyclists. The Pavilion hours of operation are intended to provide the community with the most flexible time to enjoy the facility. Locks may be purchased at the Front Desk for $5.00. Once purchased, the locks are for your personal use and become your personal property. Locks cannot be left on lockers overnight. All locks and personal items left in the lockers past closing time will be removed. The Pavilion recommends leaving valuables at home. However, if items are brought to The Pavilion during your visit, we suggest utilizing a locker with a lock to store your items safely. The Parks and Recreation Department and The Pavilion are not responsible for lost or stolen items. Need a gift idea for that hard to buy relative or friend? Pavilion Gift Certificates are the perfect solution! Gift certificates can be used for daily fees, annual passes or for program registrations. To purchase a gift certificate, please contact the Front Desk personnel at The Pavilion. Before beginning your new fitness routine at The Pavilion, the Parks and Recreation Department encourages all participants to consult with their physician. After this consultation, we look forward to seeing you at The Pavilion! Resident: Live and/or work within Scott County. Non – Resident: Live and work outside of Scott County. Family: Family members residing in the same household / address. Couple: Two people that reside in the same household / address. Senior Couple: Both must be 60+ years and reside in the same household / address. Children 2 and younger receive Free admission to The Pavilion. Anyone violating or attempting to violate the above mentioned category definitions must forfeit their pass immediately for one year from the date of forfeiture. Only the person named on the pass/card may use the pass/card to enter the Pavilion. In addition, anyone allowing another person to utilize their pass/card must forfeit their pass immediately for one year. No monies will be refunded for violation of these rules. Family and couple passes may require proof of residence for all household members (i.e. tax returns, picture ID, etc.). Annual passes and combo passes may be purchased on a monthly payment plan. Annual pass holders and combo pass holders are entitled to a 25% discount for all programs held at the Pavilion (excluding Private and Semi-Private Swim Lessons). In addition, they may use the child care (KidZone) area free of charge during normal hours of operation. There is a two hour time limit per child and pass holders must remain in the building at all times. Active Military may receive 10% off any Annual, Six Month or 20 Visit pass. At The Pavilion, children should enjoy their experience as much as their parents. Children can stay and play in KidZone while their parents utilize the facility for a nominal fee. Our playroom offers a wide variety of entertainment for children three months through nine years of age. Children are to NOT be bottle fed in The KidZone and the parent will be responsible to change the child’s diaper. It is not necessary to reserve a spot in The KidZone. The parent MUST be participating at The Pavilion in order to use this service! Maximum visit is two hours. If the parent abuses the 2 hour length of stay, up to 15 minutes late, a $5 fee will be charged; $10 for 15-20 minutes late. For additional policies, please inquire at the Front Desk or The KidZone Room. In order to reserve an area, the renter will contact The Pavilion and verbally commit to a date or dates. Once the rental has been posted, the renter will have 2 working days to pay the deposit cost. The deposit cost will equal 50% of the cost of the rental and is NOT applied to the actual rental fee. The rental fee must be paid 2 weeks prior to the date of the rental. If the renter does not pay the rental fee by this time, the deposit will NOT be returned and the room or area will then become available for rental. If a room is available within the 2 week minimum and the rental is posted, the renter will have 2 working days to pay both the deposit and rental fee. If it is not paid within the 2 days, the room or area will be made available again. $400 & cost of guards. Non-Resident: Lap Pool or Leisure Pool $300 & cost of guards. Lap Pool and Leisure Pool $425 & cost of guards. The cost of a guard for a private rental is $15 per hour per guard. It is mandatory to have a minimum of 2 lifeguards for the lap pool only; 5 for the leisure pool only; 6 for both pools. The Multi-purpose room is available to rent for meetings, classes, demonstrations, etc. This large room has access to a full kitchen. There is a room capacity of 60 for this area. Merchandising is not permitted by “For Profit” organizations. The Aerobics Studio is the perfect place to tone up those abs. This package includes the rental of the Multi-purpose room for one hour and use of the kitchen and admission to The Pavilion. Children 5 and under must be accompanied by an adult in the water when swimming. If a renter goes over the specified number of guests, they must pay for an upgrade to the next package level. Once a rental is put on the calendar, the deposit will not be returned if the party is cancelled. Rental procedures apply to the Ultimate Party Package. Everyone that enters the Multi-purpose room or KidZone must be included on the party list, paid for and banded. This includes adults as well as children. Reservations need to be made at least two weeks is advance.· Deposit is required at the time of reservation. 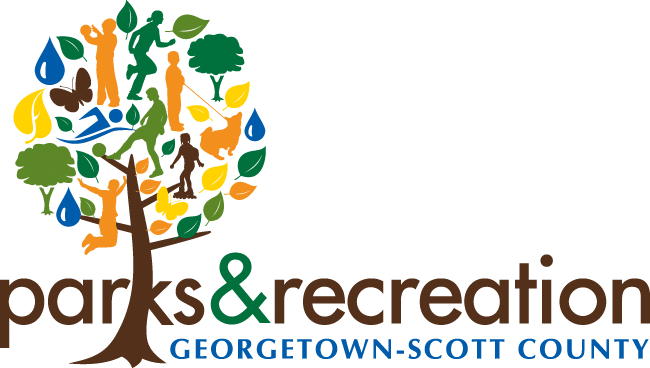 The Parks and Recreation Department will not issue refunds for the party package due to circumstances beyond our control such as a maintenance malfunction, weather related situations, or an accident in the pool. Each lock-in will begin at 10:00 PM on the date of reservation and conclude at 6:00 AM the following morning. Participants have access to the Multi-purpose Room w/ kitchen, the Gymnasium, and the Track. Both of the swimming pools will also be available for the first two hours of the lock-in. If you are interested in playing volleyball, please specify at the time you make your rental arrangements. Lock—ins may be reserved one year in advance. The 14,824 sq. ft. Gymnasium is used for many activities ranging from basketball to aerobics to volleyball. It contains two high school regulation courts that may be divided as needed. Contact Terry Smith at The Pavilion for availability. January 2 – May 31: After hours rentals may be made on any day but must be approved by a full-time staff member. No individual can book the gym for more than 2 consecutive weeks at any time. If an individual reserves the gym 2 consecutive weeks they cannot reserve the court for an additional 2 weeks until the last day of the previous reservation has passed. June 1 – October 31: The gym will be available for public rental during hours of operation on Mondays, Wednesdays, and Thursdays. Only one court may be rented at any time. November 1 – December 31: The gym will be available for public rentals during hours of operation on Wednesdays and Thursdays from 8:30 PM – 9:30 PM. Only one court may be rented at any time. When renting the gym the entire deposit (50% of the rental cost) must be paid at the time of the reservation. The remainder of the rental fee will be collected 2 weeks prior to the rental. The deposit and rental fee must be paid at the time of the reservation if there is less than two weeks before the date reserved. No exceptions. Food and drink are prohibited. Water bottles are allowed. Gym shoes are required at all times. Black-soled shoes are not allowed. The use of profane language is prohibited. Hanging on the basketball rims is prohibited. If a team is waiting to play, the game on the court will be decided by the next three baskets. The winner stays on the court for the next game. Guests using the gymnasium must be at least 10 years of age or older. An adult 16 years or older must accompany and be within arms reach of anyone under the age of 10. Walkers / Joggers must be at least 10 years of age. 11.5 laps equals one mile. The Pavilion offers two fitness areas: a cardio/selectorized area and a free weight area. Participants must be 16 years of age or older to utilize the fitness areas. Participants 12 – 15 years of age may take the youth orientation class and then be eligible to use the cardio/selectorized fitness area. No one under the age of 16 will be permitted to use the free weight fitness area. In the event that an electrical storm is in the area, the indoor pool will be closed. The pool closure is an effort to make The Pavilion a safe environment. Please understand this policy has been set for your protection, and classes will be rescheduled if canceled due to weather. The department follows American Red Cross guidelines for weather issues. Every time there is lightning or thunder, the waiting period will be 30 minutes from the last sight or sound. On days that Scott County Schools are closed or operating on a delay due to inclement weather, The Pavilion will open one hour later than normally scheduled.